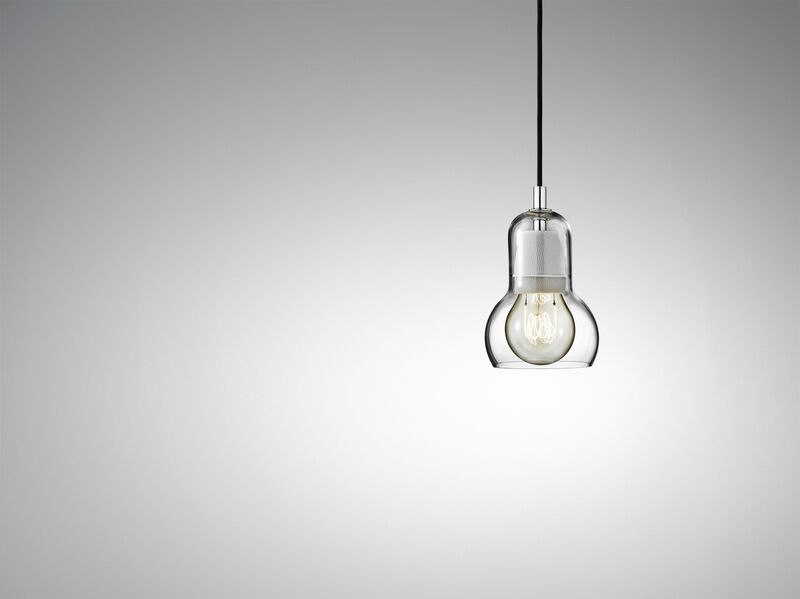 The lampshade, the bulb is transparent, but the wire is black : beautiful contrast. 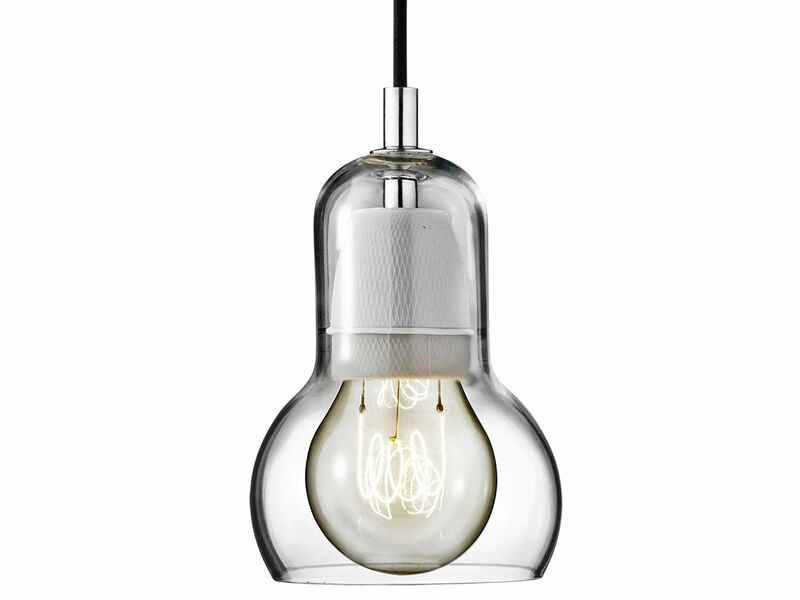 The form of 'Bulb' is classic. 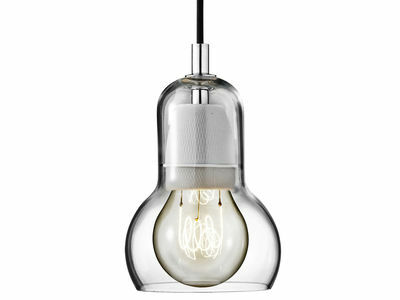 Bulb won the GOOD DESIGN award 2001 by the Chicago Athenaeum: Museum of Architecture and Design.